Godiva’s NEW 2016 Holiday Collection is both festive inside and out. It’s inspired by Christmas traditions and Christmas ornaments to elegantly enhance the holiday spirit. It features new seasonal pieces and holiday favorites like cranberry and gingerbread truffles. Makes for a great gift or stocking stuffer. The playful yet graceful reindeers prance across the Christmas boxes, evergreen colored boxes decorated with ornaments and lights, dreamy imagery across every box of chocolates, sharing joy and sweetness with your friends and family. Start this holiday season, filled with the love, blessings and luscious chocolates. 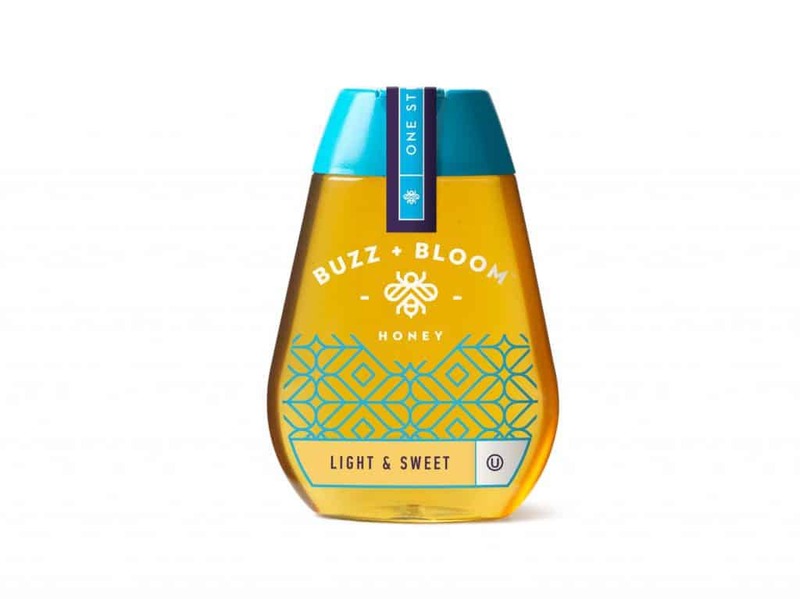 Buzz+Bloom, a globally sourced craft-style honey, captures the natural and diverse goodness of the honeybee. The extensive variety of Buzz + Bloom Honey makes a great stocking stuffer for friends and family. With more than 10 varieties, you’re sure to find the perfect treat even for the pickiest person on your list. 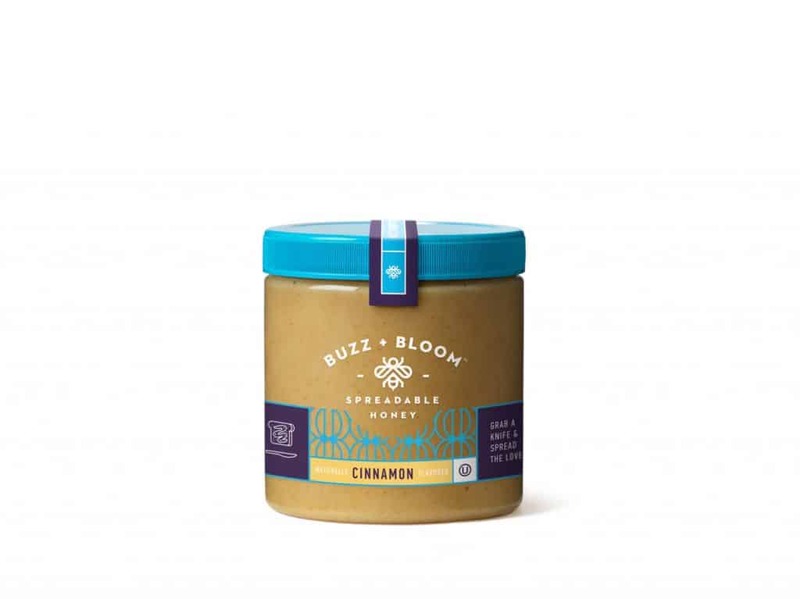 Buzz + Bloom Honey is not just for those looking for some flavor in their tea or favorite dish – the Raw & Unfiltered Honey can be used as a hair mask, or a great facial! 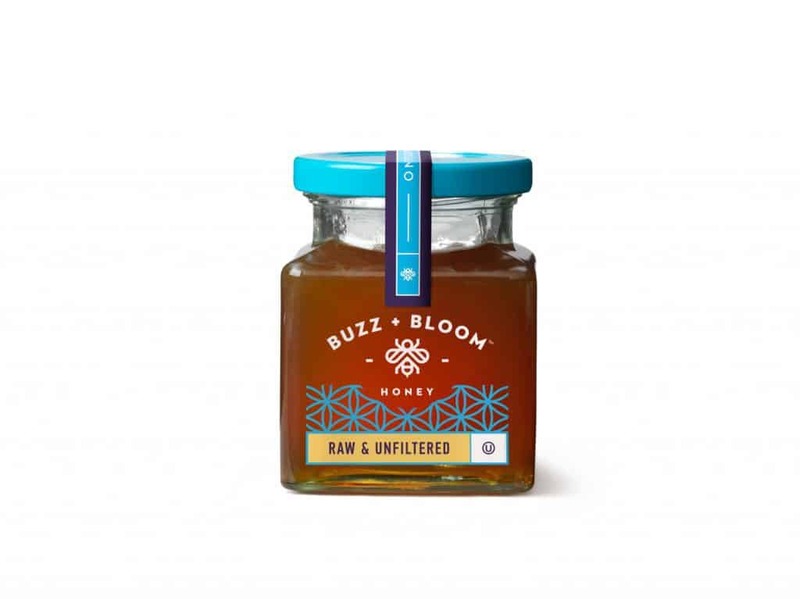 The premium honey products range in price from $2.99 to $5.99, and are available to purchase online at www.buzzandbloomhoney.com. 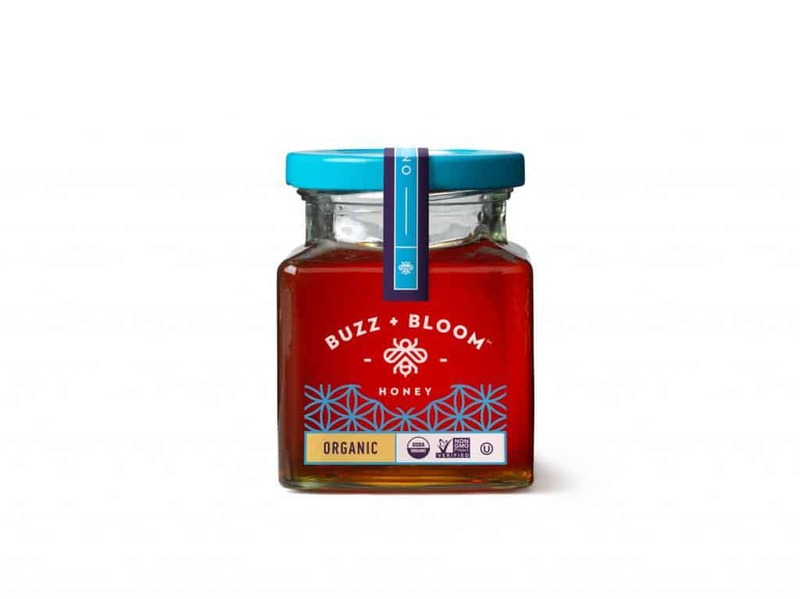 Organic Non- GMO Honey: Bold floral notes with hints of vanilla and cherry. Perfect for baking, with mild cheeses, in salad dressings, herbal teas and seafood marinades. USDA Organic, Non-GMO verified by the Non-GMO Project. Sourced from Brazil. Raw & Unfiltered Honey: Cloudy amber color with wholesome citrus and mineral notes. Enjoy with strong cheeses and crostini, or stirred into herbal tea. Sourced from India. Pure Spreadable Honey: Creamy 100% pure honey spread; great for spreading on toast, biscuits, bagels & waffles or as a dip with apples & celery. Sourced from USA, Ukraine and Vietnam. Cinnamon Spreadable Honey: Creamy honey spread with real cinnamon; great for spreading on toast, biscuits, bagels & waffles or as a dip with apples & celery. Sourced from USA, Ukraine and Vietnam. Light & Sweet Honey: Delicate flavor with the sweetness of cotton candy and hints of toffee and gentle floral notes. Perfect in smoothies, fruity or herbal teas, and drizzled over Greek yogurt. Sourced from India. 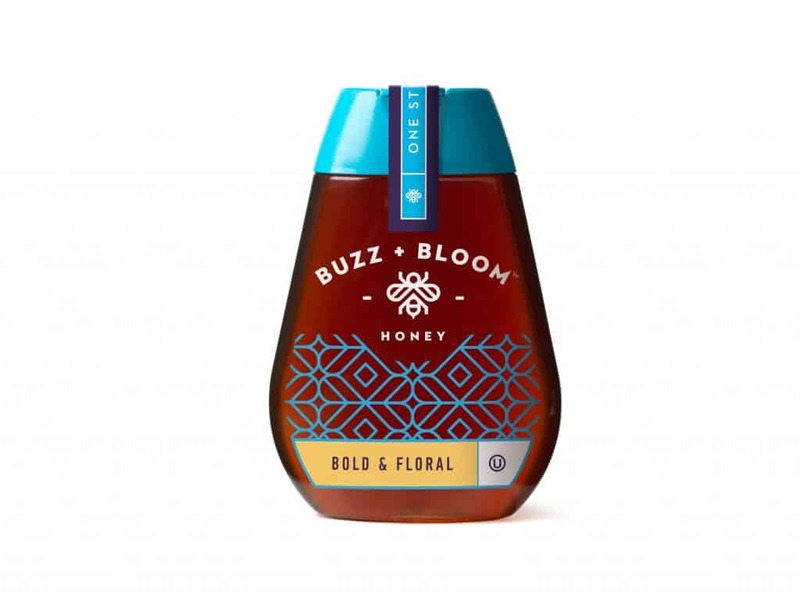 Bold & Floral Honey: Notes of Juicy Concord grape flavor with hints of nutmeg. Enjoy over citrus fruits, strong cheeses, in meat marinades, hot sauces and cocktails. Sourced from Vietnam. 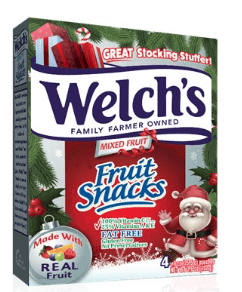 The Welch’s Christmas Fruit Snacks are the perfect stocking stuffers as they come in specially designed 4-count boxes. The snacks are the perfect addition to any gift, with the fun holiday themed boxes.